Yes, e-lending can land itself a spot under the public lending right. That is what the European Court of Justice held in its preliminary ruling in the case between Vereniging Openbare Bibliotheken v. Stichting Leenrecht (10 November 2016, case C‑174/15). The decision clarifies the Rental and Lending Rights Directive’s scope of application. It is an important judgment, because it means that the derogation of the exclusive lending right extends to certain digital materials, albeit under specific conditions. 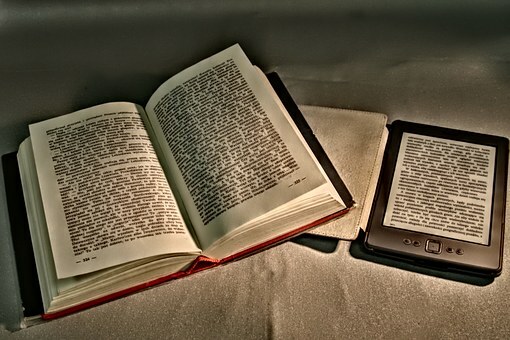 Consequently, libraries do not need prior permission for certain forms of lending of e-books, provided that they pay remuneration. It also shows that legislative choices regarding the definition, subject matter and conditions of the public lending rights regime have always been a matter of interpretation. For one thing, this is clear from the origins of the case, which go back to the Dutch library system’s reorganisation process (late 1990s-2014). The aim was to reflect on the library’s functions in the developing information society. To that end, the then-State Secretary for Education, Culture and Science envisaged an updated Library Act, but kept copyright out of the library policy reform. Nevertheless, in 2011, he announced an exploratory study on lending legislation in the digital domain, even though he understood its scope as encompassing physical media only. The question set for this joint study by SEO Economic Research and the Institute for Information Law (IViR) was multi-layered. Paraphrased, the legal part inquired whether the current lending rules in the Dutch Copyright Act (Auteurswet) covered e-lending; and if not, whether the European legal framework either left space to facilitate this practice, or could be amended. At the close of 2012, the study concluded that, under the prevailing interpretation manifested in legislative history, the public lending right was confined to material copies of works – even if both the national and the European legislator recognised the importance of a diverse digital offering and the possibilities of electronic lending. For the time being therefore, the existing risks and uncertainties warranted caution by the national legislator with regard to legislative initiatives. Yet the study also indicated that the introduction of a copyright exception could eventually be deemed necessary. If that were the case, space would first need to be created at the EU level – in other words, the chosen interpretation would need to be restated. In turn, this reading was widely perceived as signifying that e-lending ‘should’ not be possible under an exception, while the central question was actually descriptive rather than normative. In any case, dissatisfied with the outcome, the Vereniging Openbare Bibliotheken (Netherlands Association of Public Libraries, VOB) brought a case against Stichting Leenrecht (Dutch Public Lending Right Office) halfway through 2013. Interestingly, the VOB did not seek to change the law as such but rather its interpretation, pursuing a declaratory ruling to affirm that the relevant legal provisions already allow for digital lending. Ultimately, in 2014, the Court of the Hague found that the case revolved around the question of whether ‘e-lending’ qualified as ‘lending’ in the legal sense. It concluded that this had to be assessed in light of the acquis communautaire: the answer depended on an explanation of the Rental and Lending Rights Directive’s definitions. According to the court, legislative history offered arguments both pro and contra. Moreover, the functional equivalence of e-lending to physical lending also gave rise to different viewpoints. This, in combination with the fundamental character of the issue, led the court to refer questions of interpretation to the ECJ in 2015. Briefly put, the first question asks whether ‘lending’ in the sense of Directive 2006/115 (artt. 1(1), 2(1)(b) and 6) also involves the making available of electronic copies, for temporary use, by publicly accessible institutions via a so-called ‘one copy one user’ model. Other questions relate to the permissibility of additional conditions: does the copy involved need to have been brought into circulation by first sale, or derive from a lawful source? And in the former case, what is the scope of the exhaustion doctrine under the Copyright Directive in relation to digital copies (art. 4(2))? Finally, in last week’s judgment, the European Court chose to largely follow this opinion. The main finding was that digital lending should not be excluded from the Rental and Lending Rights Directive’s scope in all cases. Such a conclusion is neither supported by the preparatory work of Directive 92/100 (which Directive 2006/115 codifies), nor by its language. For instance, even if the European Commission expressed its intention to exclude electronic data transmission from the lending regime, the Court held that this concerned films rather than books. In addition, the Commission’s desire in this direction did not appear in the actual text of the proposal for the Rental and Lending Rights Directive. In the same vein, artt. 1(1) and 2(1)(b) of Directive 2006/115 do not specify whether the notions of ‘originals and copies’ and ‘lending’ also cover digital copies or intangible objects. Though the Court maintains that ‘rental’ does solely concern fixed copies when interpreted in light of art. 7 WIPO Copyright Treaty, that reading does not automatically extend to lending. After all, the directive defines ‘lending’ separately. Where appropriate, therefore, the Court concludes that lending can be interpreted to denote certain modes of digital lending as well. This is in line with the AG’s dynamic interpretation: in combination with the objective of the directive, namely, to adapt copyright to new economic developments and new forms of exploitation (Recital 4) and to ensure author protection (implicitly Recital 5), digital lending justifies adaptation of the copyright framework. Apart from the scope of ‘lending’, the Court addresses the permissibility of criteria beyond those found in the directive. First, the Court does not deem exhaustion relevant to lending. Yet, Member States may require that the digital copies of books made available by public libraries have been disseminated by a first sale or other transfer of ownership by the right holders, or with their consent. The reason lies in reducing the risk of prejudicing the author’s interests. Due to the way the questions have been asked, the Court does not get to address the digital exhaustion doctrine in the context of the Copyright Directive. The notion’s relevance to the present case was debatable anyhow. The AG had not really formulated a conclusive opinion on this either. Finally, a second additional condition which is considered allowable, is that the copy in question must have been obtained from a lawful source. Though not stated in the directive as such, the Court concludes so in view of its aim to combat piracy. Furthermore, it establishes an analogy with its decision in the private copying case ACI Adam (10 April 2014, case C-435/12, on which, see here). In conclusion, the acceptability of additional criteria can be traced back to the Court’s observation that the directive lays down a minimum threshold of author protection, which states may exceed where appropriate. In summary, the Court clearly values a teleological interpretation in its decision, aiming to legally facilitate the public lending of digital books in light of its “importance”. In doing so, the judgment focuses on functions, and more specifically, on lending as one manifestation of the central mission of providing access to information, knowledge and culture, in an equal and low-threshold fashion, helping users to educate themselves. In this view, those acts with “similar characteristics” to traditional lending should be treated the same. This way, the Court wants to ensure the effectiveness of the public lending rights regime. At the same time, this reasoning limits the impact of the decision to one manifestation of e-lending: the ‘one copy one user’ model. 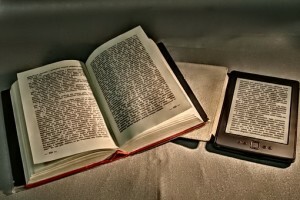 It is therefore questionable whether the procedure’s result is in accordance with existing library practice, but it is the Court’s way of balancing the interests involved: on the one hand, libraries can at least offer some online lending services; on the other, authors are ensured remuneration. The case will now go back to the national court, which must deliver a decision in line with the ECJ’s interpretation of the selected provisions. But it is clear that the ruling will have major consequences for the library practice of e-lending across Europe. The author wishes to thank Kelly Breemen (IViR) for useful suggestions.